Sierra Oaks Beauty. 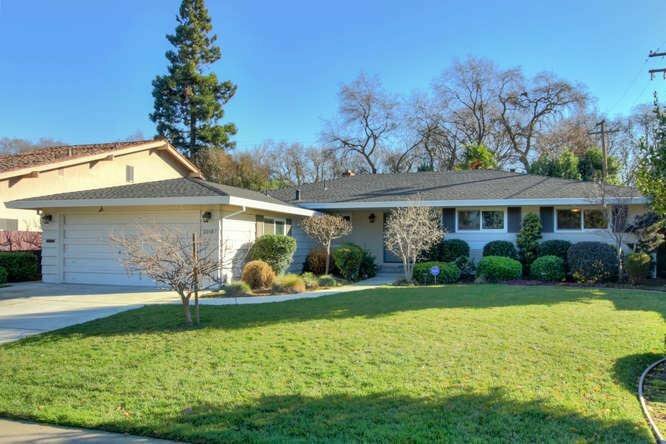 Welcome home to this updated and inviting ranch-style home in desirable Sierra Oaks. With beautiful wood flooring throughout, this spacious home features separate family and living rooms, formal dining area anchored by a beautiful brick fireplace. Remodeled and generous kitchen with double ovens, separate gas cook-top, island and dining bar, open to the formal dining area. Abundant storage and counter space are perfect for the home chef. Four large bedrooms include the Master Suite offering comfortable privacy with patio access, two closets, double sinks and separate shower and soaking tub. The indoor laundry room offers cabinetry, sink and separate bathroom. Through the charming sun room with brick flooring, step outside to the beautiful yard with pool & spa, patio and lawn. A charming and comfortable house waiting to call home. Listing courtesy of Coldwell Banker Residential Brokerage. Selling Office: Keller Williams Realty.